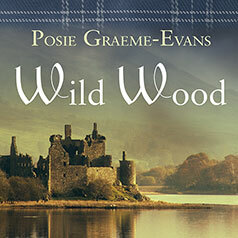 In this gripping and passionate historical novel from Posie Graeme-Evans, intrigue, ancient secrets, fairy tales, and the glorious scenery of the Scottish borders drive the story of a woman who must find out who she really is. Jesse Marley calls herself a realist; she's all about the here and now. But in the month before Prince Charles and Lady Diana's wedding in 1981, all her certainties are blown aside by events she cannot control. First, she finds out that she's adopted. Then she is run down by a motorbike. In a London hospital, temporarily unable to speak, she uses her left hand to write. But Jesse is right-handed. And, as if her fingers have a will of their own, she begins to draw places she's never seen before and people from another time—a castle, a man in medieval armor. And a woman's face. Rory Brandon, Jesse's neurologist, is intrigued. Maybe his patient's head trauma has brought out latent abilities. But wait—he knows the castle. He's been there. So begins an extraordinary journey across borders and beyond time, a chase that takes Jesse to Hundredfield, a Scottish stronghold built a thousand years ago by a brutal Norman warlord. What's more, Jesse Marley holds the key to the castle's secret and its sacred history. And Hundredfield, with its grim Keep, will help Jesse find her true lineage. But what does the legend of the Lady of the Forest have to do with her?